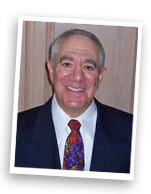 Dr. David J. Mann has over 30 years experience working with children and adults. Dr. Mann is an experienced expert witness, testifying over 200 times. He has conducted over 1500 evaluations in the area of custody disputes and alleged abuse cases. He also testifies as to eyewitness competency of both children and adults in criminal and juvenile matters, as well as, civil litigation involving emotional damage. Dr. Mann specializes in treating dysfunctional families, domestic violence, adolescent crisis, substance abuse, eating disorders, suicide, depression, child abuse, sexual abuse, post-traumatic disorders, attention deficit disorders and general anxiety. He has been the Consulting Psychologist to Orange County Head Start and El Toro Marine Elementary School. His doctoral dissertation was on “Children’s Adjustment to Divorce.” He is a licensed Psychologist, a licensed Marriage and Family Therapist and a retired Educational Psychologist. Dr. Mann holds a Fellowship with Prescribing Psychologists’ Registrar certificate. Dr. Mann was also an Expert Reviewer for the California Board of Psychology for 9 years. 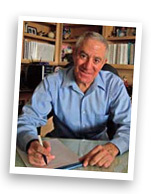 Dr. Mann is married and has two adult children and is an active grandparent of four grandchildren.